Panda Express has many different food options that are constantly changed to keep it fresh. 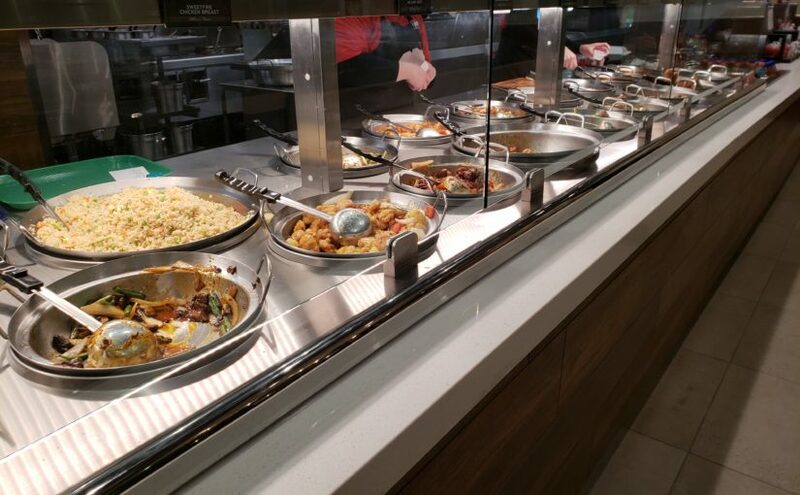 Everyone knows about the Panda Express on the lower level of the Memorial Union, but if you didn’t think you were eating enough Panda before, wait until you visit the newest addition to the Fargo community. Panda Express opened up another location in Fargo at 3751 53rd Ave. S on Nov. 16. At this location’s grand opening they donated a portion of the proceeds to the Make-A-Wish Foundation of North Dakota. 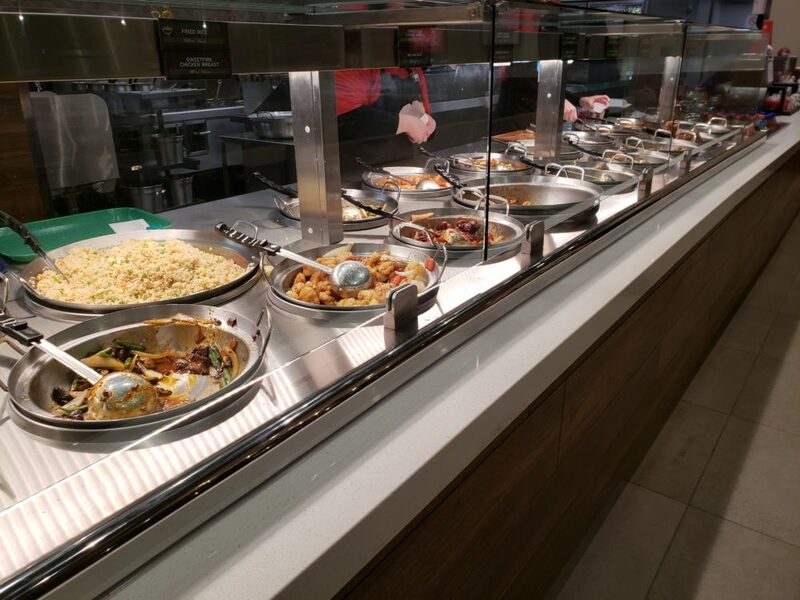 Although it still serves up all of the classics that Panda has to offer, the new location’s fresh, clean and overall atmosphere is a nice change from the Memorial Union. However, the lighting is just as bright. “We are honored to expand our footprint within the Fargo community and have the chance to bring our American Chinese cuisine to even more local residents,” said Hayato Yang, area coach of operations for Panda Express. The service at this location is better than ever with its quick and fast pace cooking to portioning ratio. Plus, when ordering a plate, they filled every edge of the plate to the point where it was overflowing and filled to the brim. “Anchored by our people-first values, we look forward to this chance to bring quality service to even more local residents as we continue to expand in the area,” Yang said. The food is constantly being switched out for new food, so it is always fresh, which left the teriyaki chicken still moist instead of the old dry taste you may be used to. Plus, the orange chicken at this location has a bit more kick than any of the others. While it is not entirely known what they do differently to achieve this, all that is for sure is that it tastes a tad spicier than anywhere else. As for the chow mein, it tasted about the same as any other Panda Express location, but was still fresh enough that it was not cold. Although this may seem to be quite the distance, especially since there is a Panda Express right on campus, the new atmosphere is a nice change of scenery. Plus, if you’re looking for a job they are currently hiring for $12/hour, and more information can be found at pandacareers.com.